The Senate Judiciary Committee's investigation into the June 2016 Trump Tower meeting is complete, says its Republican chairman, who signaled Thursday that he plans to release transcripts from interviews related to the meeting. "I believe this Committee's interviews of the witnesses surrounding the Trump Tower meeting are complete. 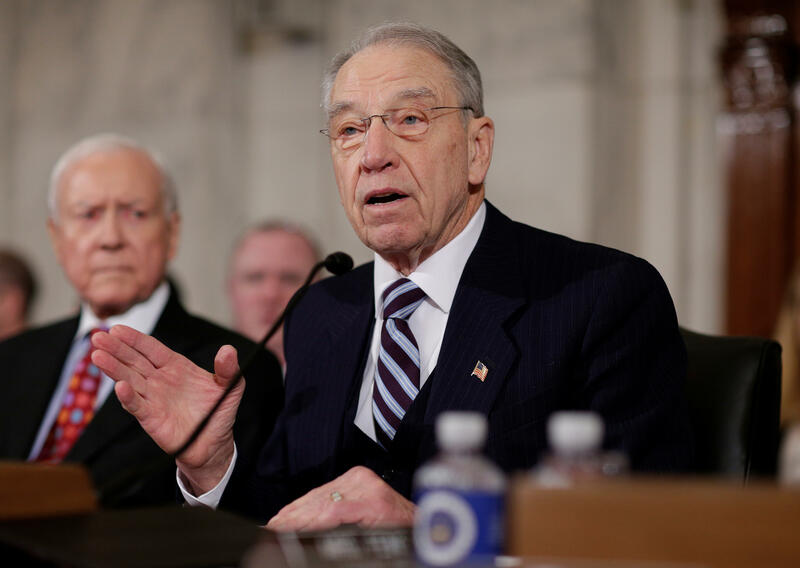 That section of our investigation is done," said Sen. Chuck Grassley, R-Iowa, the panel's chairman at a business meeting Thursday. "So, now it's time to start officially releasing the transcripts of all witness interviews we have done related to that meeting," he added. The committee interviewed President Trump's son, Donald Trump Jr., about the June 9, 2016 meeting at Trump Tower last September. He told told Senate investigators at the time that he agreed to a meeting with Russian lawyer Natalia Veselnitskaya who claimed to have damaging information about Hillary Clinton because he wanted to determine her "fitness" for office. Trump Jr. had come under fire last summer due to revelations that gradually came out surrounding the meeting with the Russian lawyer, which was attended by Trump's campaign chairman at the time, Paul Manafort, and Trump's son-in-law, Jared Kushner. Earlier this month, the panel's top Democrat, Sen. Dianne Feinstein, D-California, released a transcript from an interview with the co-founder of Fusion GPS, Glenn Simpson, whose firm commissioned a dossier of allegations about President Trump's ties to Russia. She released it after Grassley declined to. Simpson's firm commissioned the dossier, which was initially paid for by a conservative website and later by Democrats. On Wednesday, Mr. Trump told a group of reporters that he is "looking forward" to being interviewed by Special Counsel Robert Mueller in the federal investigation into Russian meddling in the 2016 election.